Have you ever concealed your smile behind your hand or felt uncomfortable when your picture was taken? Have you ever wanted a prettier smile? Many people do, and with Invisalign, that smile of your dreams may be closer than you ever imagined. Our Los Angeles Invisalign dentist can use Invisalign aligners to treat crowded teeth, widely spaced teeth, crossbites, overbites and underbites. Unlike traditional braces that use metal brackets and wires to move teeth, Invisalign uses clear plastic aligners to effect precise movements of each tooth. Our Los Angeles Invisalign dentist will map out your treatment using computer images and dental impressions, and the trays are fabricated by a dental laboratory. Once you receive your trays, you will wear each one for about two weeks before moving on to the next set of trays. Because you have greater control over your treatment, you will have fewer orthodontic appointments. The removable trays allow you to maintain excellent dental hygiene without the need for time-intensive routines or special tools. You can even continue eating all your favorite foods, including popcorn and nuts, which are frequently discouraged in those wearing braces. Treatment with Invisalign can often be completed in as little as a year. Our Los Angeles Invisalign dentist will carefully assess your needs and treatment goals and can provide you with a more accurate timeframe. 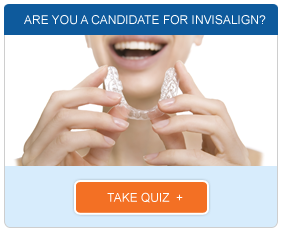 You may be a candidate for Invisalign if you have mild to moderate crowding, gaps, crooked teeth or bite abnormalities. Your jaw must be done growing, which means that younger teens may not be good candidates for the procedure, and you must be willing to wear the aligners for at least 20 to 22 hours a day to achieve optimum results. Are you ready to learn more? 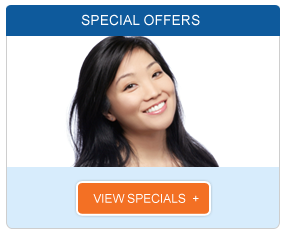 Give us a call today to schedule your consultation with our Los Angeles Invisalign dentist. * Some patients may need additional dental procedures prior to straightening teeth, such as tooth extraction or tooth reshaping. Some patients may need adjunct orthodontic appliances added to their Invisalign treatment in the event Invisalign alone cannot work to correct the orthodontic problem. These adjunct appliances include but are not limited to auxiliary buttons or attachments, rubber bands, expanders, lingual braces, bonded retainers, etc. These procedures may not be included in the above treatment fees and can only be determined after a complimentary consultation.